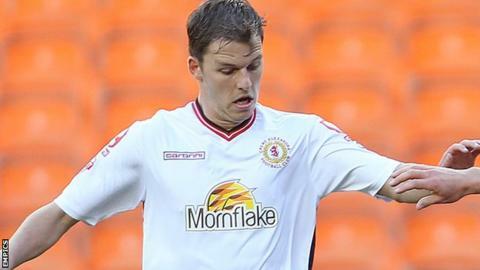 League Two side Crawley Town have signed Crewe midfielder Chris Atkinson on a one-month loan deal. The 23-year-old has made 16 appearances for the Alex this season but has not featured since mid-November. "Chris is a player who's been on our radar for a while," Reds boss Mark Yates told the club website. "He's energetic, gets around the pitch well and he's also composed on the ball. We're hoping this loan will suit both ourselves and Chris."